Xbox, PS4, Switch? 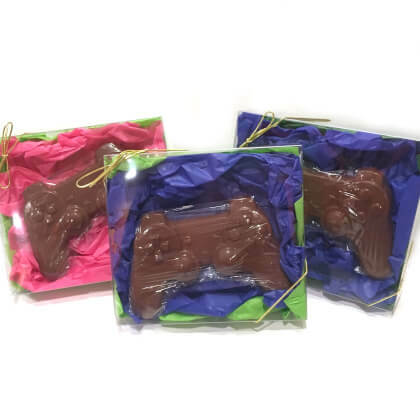 None of them can match the tastiness of this solid milk chocolate game controller. Approx. 6 inches wide and net weight is 3.75 oz. Tissue colors will vary depending on availability.